The whole of India can now access Facebook's Free Basics, but where's the banking? Mark Zuckerberg has taken to Facebook (where else) to welcome the next wave of people now able to get online through an extension of the social network’s relationship with Indian utilities giant Reliance. The Free Basics service, renamed back in September, was initially rolled out earlier this year in Mumbai, Maharashtra, Gujarat, Andhra Pradesh, Chennai, Tamil Nadu and Kerala, but now theoretically offers internet access to each of India’s estimated 1.3 billion people. Ganesh struggled with traditional farming methods in a region plagued by droughts, but last year he started using Free Basics – accessing services like AccuWeather, which helped him work better through the monsoon season, and Reuters Market Light, which helped him understand commodity prices and get a better deal for his crops. 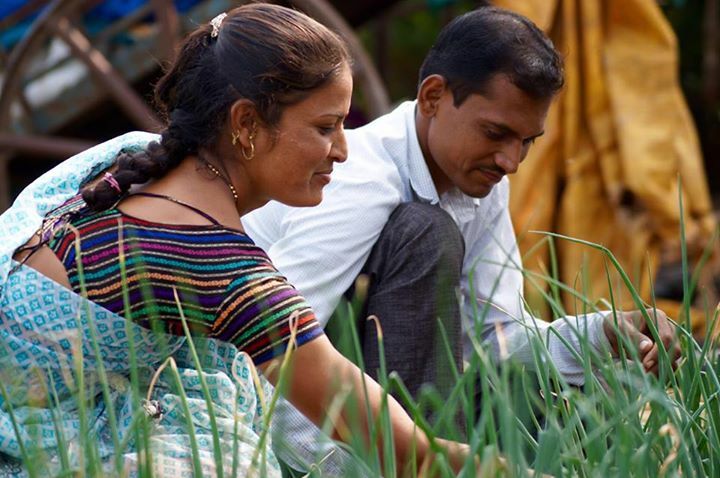 By using Free Basics, Ganesh has doubled his crop yield, eradicated insect infestations and even invested in new crops and livestock. Today, nearly 1 billion people are currently without internet access in India. Now with Internet.org‘s Free Basics available to everyone in India, many more people like Ganesh and Bharati will have access to the information and opportunity the internet brings. Unfortunately this isn’t quite as it seems, as although Reliance say its telecoms network reaches 400,000 of India’s villages, it currently only has 118 million people signed up as customers. However, given the (limited, but increased) access the platform offers to those who’ve never been online before – Wikipedia, Times of India, Bing (not Google?!) and of course Facebook (omitting Twitter, Snapchat, Vine, Pinterestand, Instagram) – this could mean quite the bump in subscribers. But, despite the success of mobile banking services in countries that have skipped desktop, perhaps most famously M-Pesa, one thing still surprisingly absent from Free Basics’ carefully curated internet world is banking. And although Reliance has a banking arm for SMEs, as well as having its fingers in energy, life insurance and entertainment services, to name a few, it too appears unable to offer this kind of service to India’s unbanked. Parking my reservations about where power ends up if any country becomes a cashless society and this gets more interesting. It’s not too great a leap, given Facebook’s efforts around P2P, that the reason for the absence of mobile payment functionality is because this is next on the agenda for the social giant itself. Facebook already accepts transactions in India via the Neteller brand of British online payments provider Optimal Payments, although this seems to require already having a bank account. However, other Facebook Payments partners, like CashU in the Middle East, offer mobile accounts and allow people to top up with cash in a participating shops. Et voilà. Facebook = bank? Many see internet access, given its growing role in enabling people to exercise freedom of expression and freedom of speech, as well increasingly facilitating democratic participation, as a UN-certified human right. And, therefore, enabling its control by a data-hungry, commercially-driven company like Facebook, where it decides what services are free and which are extra, seems like pretty dangerous territory. Free Basics also clearly contravenes net neutrality, in terms of cost and access to the entire Web, although the principle that all services should be treated equally continues to be a battleground in Western markets too. Facebook faced an embarrassing climbdown in September after it was found to be charging Free Basics users extra for private, encrypted services. A free basic, they eventually agreed.